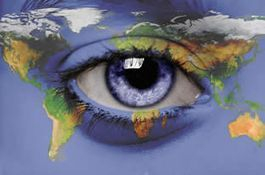 Your Eye on the World!! We are unlimited in many ways. First, we offer legal research and investigation that provides facts and information that allows the client to make INFORMED decisions. Secondly, we are a part of an international network of professional, like minded investigators, researchers and paralegals, allowing ISGU to provide you with the services you need, globally. And finally, our services are truly unlimited, with the focus being on background checks, personality profiles, legal research, surveillance, private process and litigation support. A great investigator finds the facts, interprets the information and paints pictures of possible outcomes, helping the client to understand their options and make great personal and business decisions. Investigative Solutions Group - With over 25 years of experience in investigations in both personal and corporate settings, we are dedicated to supplying precise and accurate information by being involved in every case handled by this firm. ISGU achieves the most important goal: Securing accurate and relevant information in an expedient and cost effective manner. What do you look for when hing a private investigator? Whenever there is a need for timely information on a corporate or personal level, how does a company go about the process of finding honest, professional assistance? Some criteria is fairly standard. *Is the company licensed and do they meet state requirements? *How long have they been in business? *What do these clients think of them? These are the types of questions you must ask of any type of company you are thinking of hiring. However, with an investigation company, there are additional items to consider. Getting the "facts" is only part of the job. You should determine how a potential company presents these facts and how they discovered these facts as well as the company?s legal expertise before the company is retained. How a company collects and reports the information can mean the difference between a case and claim being settled to the client?s benefit or having worthless information. This means reports are written in descriptive, narrative style, which covers all details and pertinent facts. Reports are also written in a format that makes them articles of evidence that a client will be confident in giving to the opposing counsel if the need arises. In order to better serve, an investigations firm should be flexible, credible, professional, discreet, shrewd, and they should operate with a single goal: To secure the necessary relevant information needed by their clients in an expedient and cost effective manner. ISGU proudly sets the industry standard and strives to improve them daily. If you agree with these ideas, we hope you will allow ISGU to demonstrate our expertise. ISGU -Investigative Solutions Group, Unlimited is a full service, Dallas, TX private investigator business. ISGU has been in business for over 27 years, which is a testimony to our success rate for our clients! and even a retired Mayor of TX! Because of our diverse experience, we can provide excellent services at competitive rates. We can help individuals and corporations alike in civil, criminal, divorce, due diligence, hostile takeover, corporate mergers, employee terminations, backgrounds, surveillance and a wide variety of services. Many companies and databases provide you with raw information. Success depends on not what you know but how it is interpreted and how to apply the information to your needs. 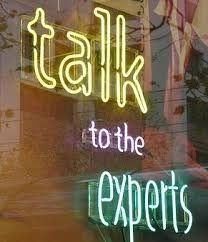 Our investigators do that and more! We’re pleased to offer you a free 30-minute phone consultation. Let's talk about your needs and how our investigative services can work for you. 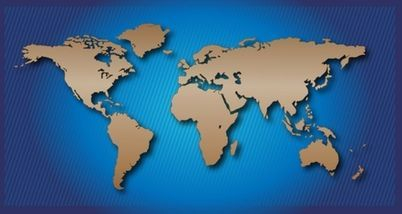 We are located in the heart of Texas but can help you anywhere in the world. Of course, there?s no charge, no risk to you, no obligation whatsoever. Bring all documents or have them in front of you for your phone call. Write down notes outlining your problem, or any questions you may have. We must have your details in order to decide what is important and how to move forward in your best interests. Be honest. It is very important that you give an honest account of your problem. This includes issues that may be sensitive to you or your family. Remember that the conversation your have is private, and cannot be discussed with others without your permission. Ask how much this will cost. Payment plans and retainer options are available and flexible, based upon your needs. We protect you with facts and allow you to make better decisions! !